The Call is now available as an audiobook. Rick Joyner’s gripping vision of heaven will challenge listeners to take their callings seriously. 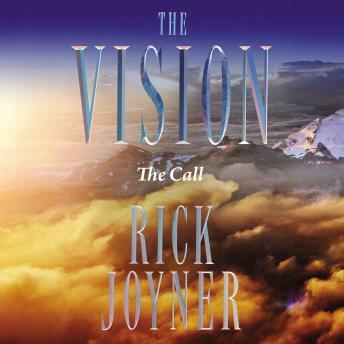 The Call is a continuation of Rick Joyner’s extraordinary vision of heaven, first recounted in The Final Quest. Available as an audiobook for the first time, The Call is a dynamic chronicle of Rick Joyner’s encounters designed to challenge every believer to live a life worthy of his or her calling. “And it shall be in the last days,” God says, “that I will pour forth of My Spirit upon all mankind” (Acts 2:17 nkjv). As we enter the last days, we will see an increase in dreams, visions, and prophecy among the young and old to prepare the church for the glorious appearing of the Lord. The saints of old longed to see what this generation will be privileged to see. We must therefore take our calling that much more serious, knowing we will one day bow before the great King. The Call is a sober challenge to Christians around the world to live out the truth with which they have been entrusted. It is a call to sacrifice and to do all things for the sake of the gospel. The darkness will soon be over, and the day of our Lord will dawn. Now is the time for us to take a stand against the great darkness for the sake of the light.